The North Easts Number 1 Independent Turbo Experts - Covering Durham, Newcastle & Sunderland. Dpf Blocked – WHY ? 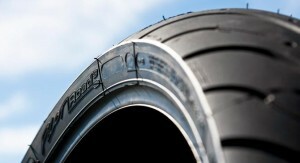 We supply and fit most makes of tyres for cars and bikes. Summer and winter applications from budget to prestige we can get you a fitted price that will make you smile. For your bike we can supply and fit road and track/off road varieties with professional fitting service. Its important to point out that just because a tyre is black and round does not mean they are all the same….they are not and you really do get wjhat you pay for although there are some quiet reasonable budget tyres out there BUIT you have to know what you are looking at. Its part of the overall service to try and help our clients with all their automotive needs. Dont wait until you have bald tyres or scrubed the edges off call in to see us and get them fitted professionally and let us have your tracking done correctly to ensure you get the maximum grip and life out of your puirchase. If you want some advice on what to buy…from a low profile tyre through to snow tyres…we can help you…..after all just because they are black and round does not mean they are all the same ! The North East’s Leading Turbo Specialists since 1992. Turbo PACS Ltd, as the name might suggest, is a long established (1992) Turbo specialist supplying turbo diagnostics and root cause analysis, new and reconditioned turbos, and turbo fitting, as well as Re-Mapping, DPF removal and DPF cleaning.